Ships today if you order in the next 3 hours 11 minutes. 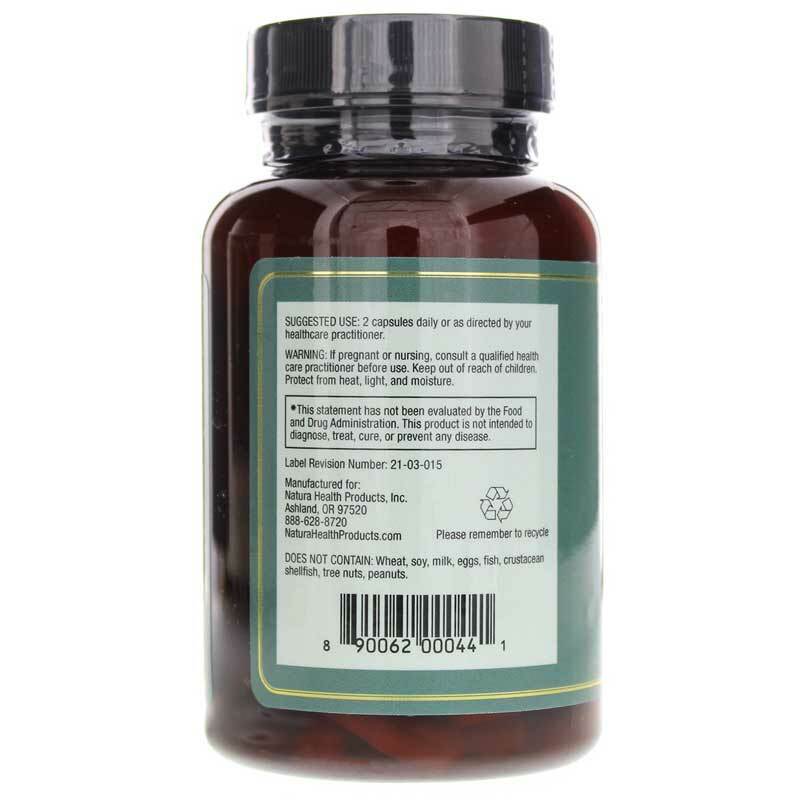 IG Sensitizer from Natura Health Products is a multi-nutrient dietary supplement of vitamins and minerals selected for their potential benefits in helping to maintain healthy blood sugar levels already in a normal range. 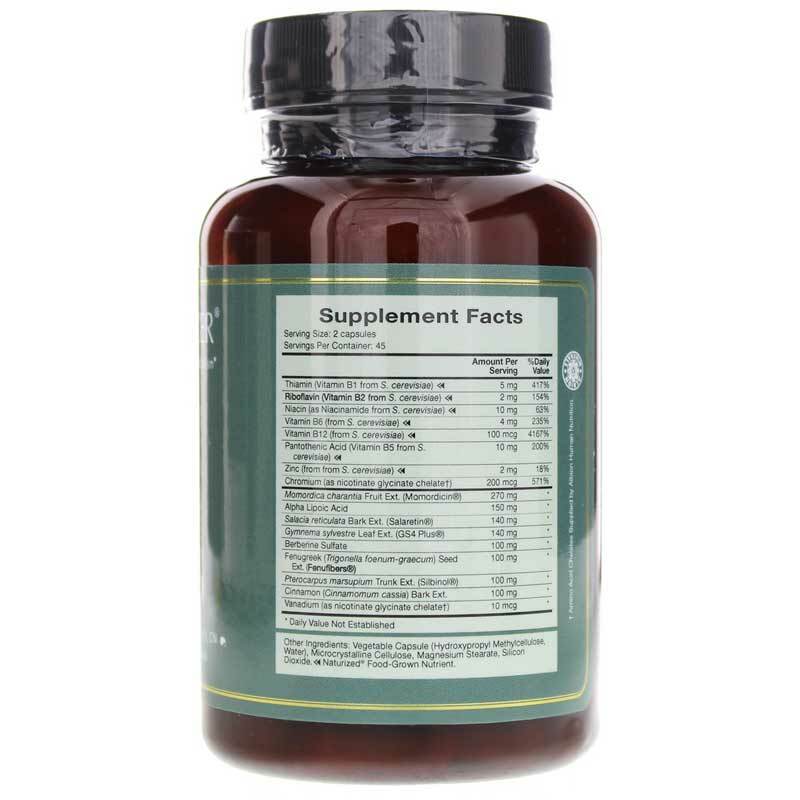 The formula contains vitamins B1 (thiamin), B2 (riboflavin), B3 (niacinamide), B6, B12, and B5 (pantothenic acid), as well as zinc and many other botanically derived nutrients for overall health support. Sometimes blood sugar metabolic pathways may need nutritional supplementation to function properly. The nutritional compounds in IG Sensitizer provide the structural framework that may help support energy utilization and storage in the body. IG Sensitizer also features momordicin, a standardized extract of bitter melon fruit (Momordica charantia). This traditional ingredient is thought to help maintain healthy blood sugar levels already in the normal range. 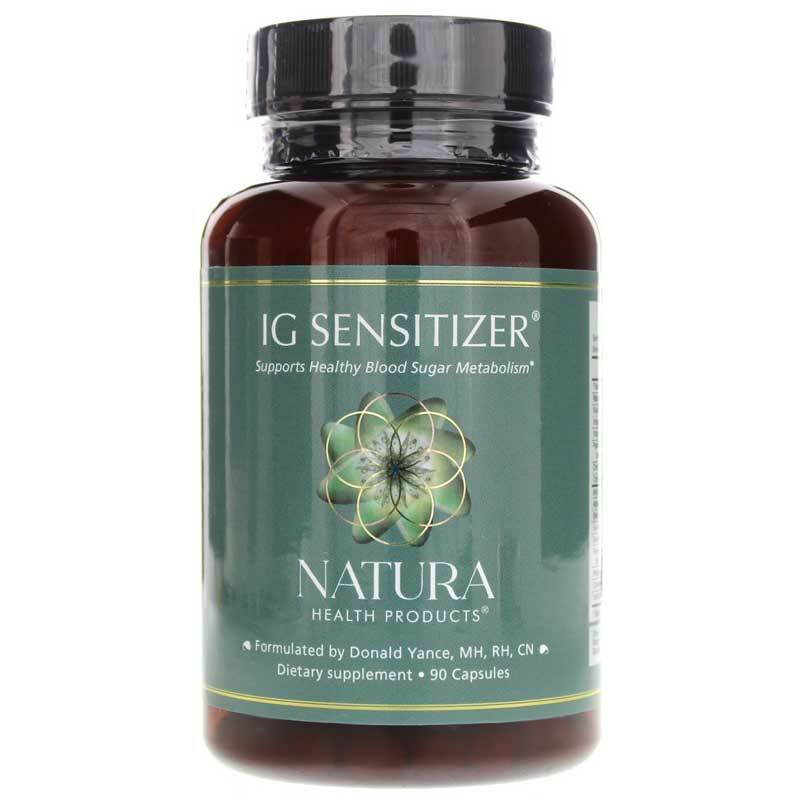 If you’re looking for an all-natural dietary supplement of vitamins and minerals that may provide blood sugar metabolic support to help maintain levels already within the normal range, try IG Sensitizer from Natura Health Products. See the potential benefits for yourself! Adults: 2 capsules as recommended by a healthcare professional.